I’ve been to a regular cafe, a cupcake cafe, a book cafe, and I’m waiting for the opening of that first cat cafe. Recently, I found another cafe to add to that list, a macaron cafe. I didn’t know there is such thing (though I admit the idea is not that far-fetched) until I happened to pass by Mrs. Graham’s Macaron Cafe, while walking the length of Scout Rallos Street. It looked so cute even from the outside that my friends and I retraced our steps to check it out. 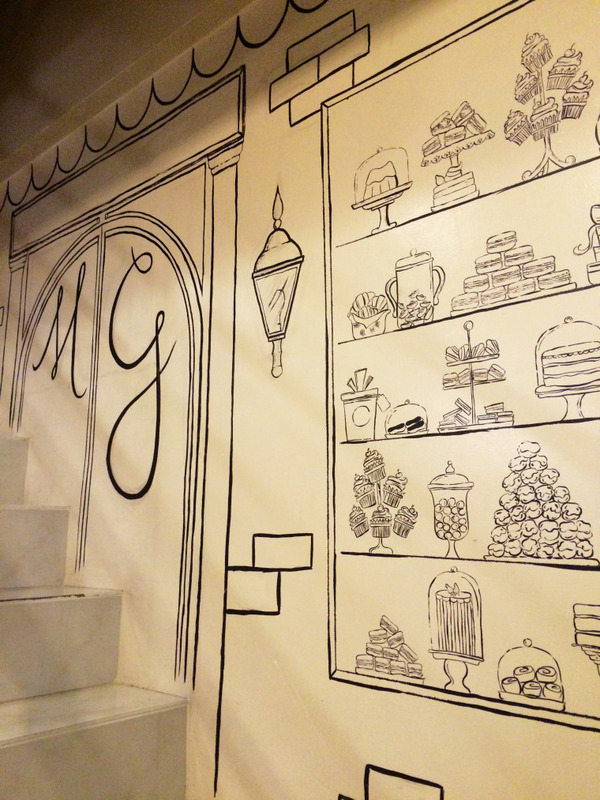 Mrs. Graham’s Macaron Cafe has all the makings of a cupcake shop; small and dainty with ultra feminine interiors. 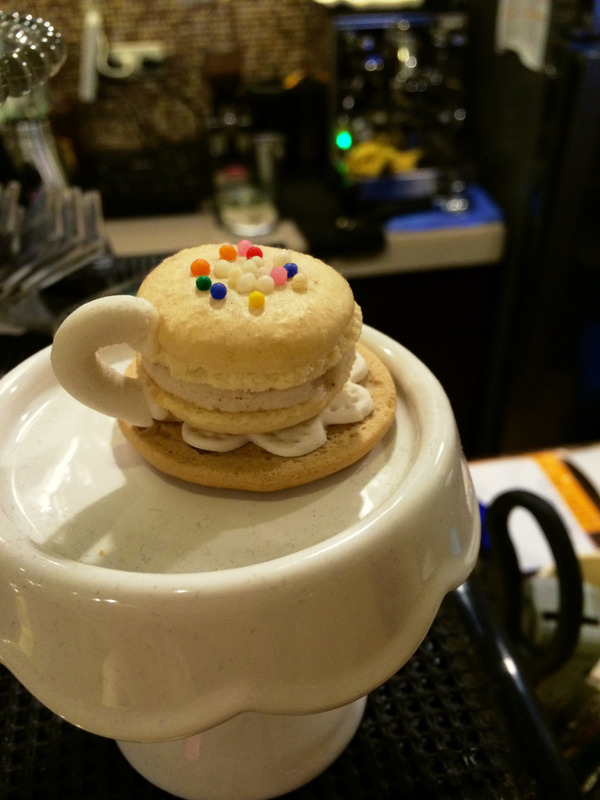 As the name implies, the place’s specialty is macarons, a sweet meringue-based dessert that originated from France. 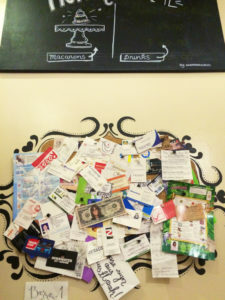 The macaron didn’t end with the food and the name though, it’s also incorporated in their interior design. 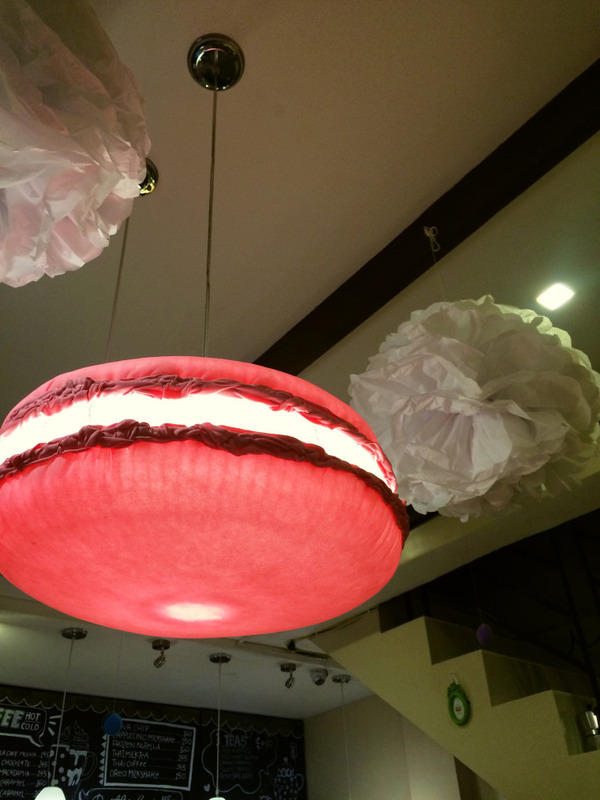 There are macaron-like lighting fixtures on the ceiling, which upon closer look I realized were made from recycled electric fan net. In the bathroom, there are soap bars that look like macarons. 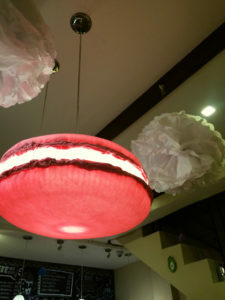 You could see macaron decors that looked so authentic you could easily mistake them for a real macaron. 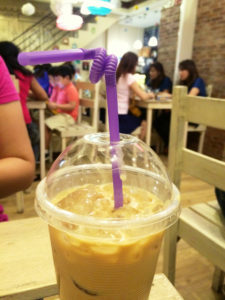 My friend, Michy ordered Thai Coffee. 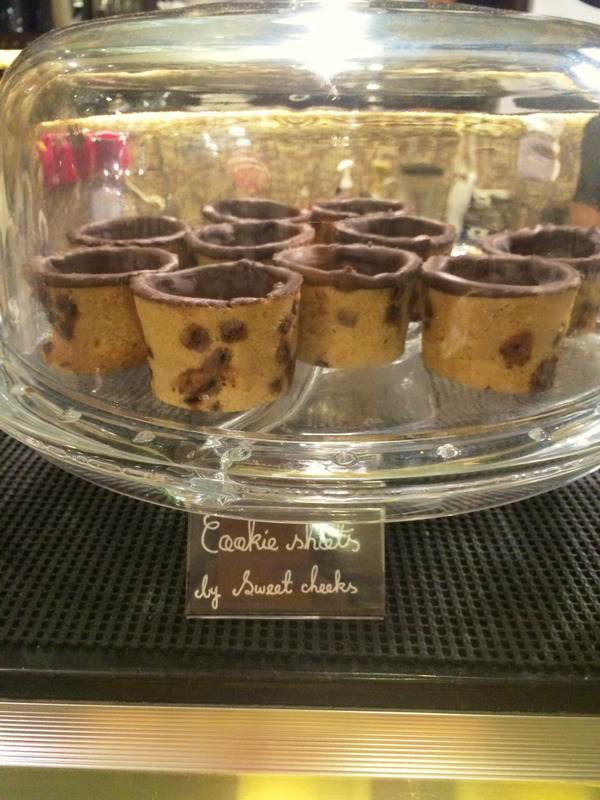 It’s a bit sweet with a strong taste of roasted coffee. 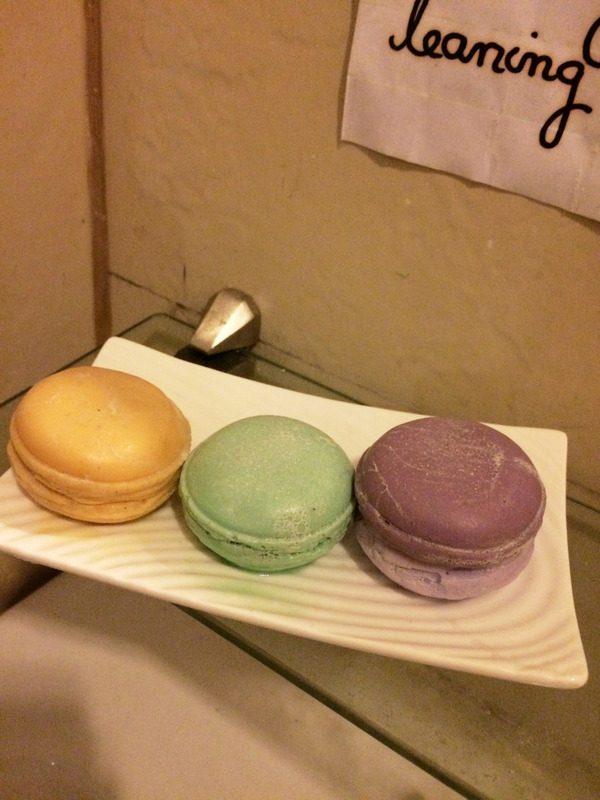 I tried two flavors of macarons; pancakes and peanut butter and jelly. The former tasted more like the syrup that you put on pancakes, while the latter, as it promised, has the combined flavors that PB&J lovers would surely appreciate. I do regret not trying their other offerings to give you an extensive review. For one, they have cakes (I saw a crepe cake! My favorite!) 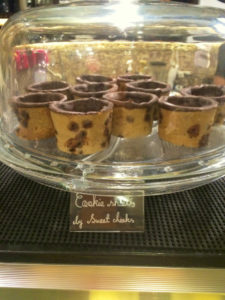 and there’s also the cookie shots, but alas, my tummy wasn’t in the best condition to take more during my visit. Maybe next time. The two macarons that I tried were good but nothing remarkable. 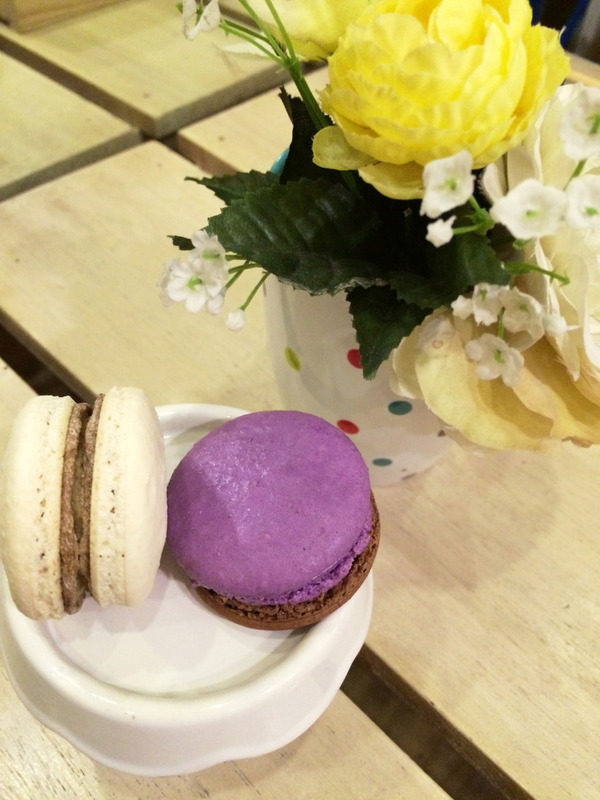 If you’re a true blue fan of macaron, you’d probably find them passable if not satisfactory. 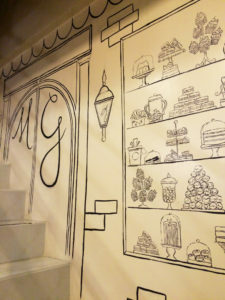 Still, I’d recommend Mrs. Graham’s Macaron Cafe to the sweet tooth, just for being cute it’s already worth a visit. 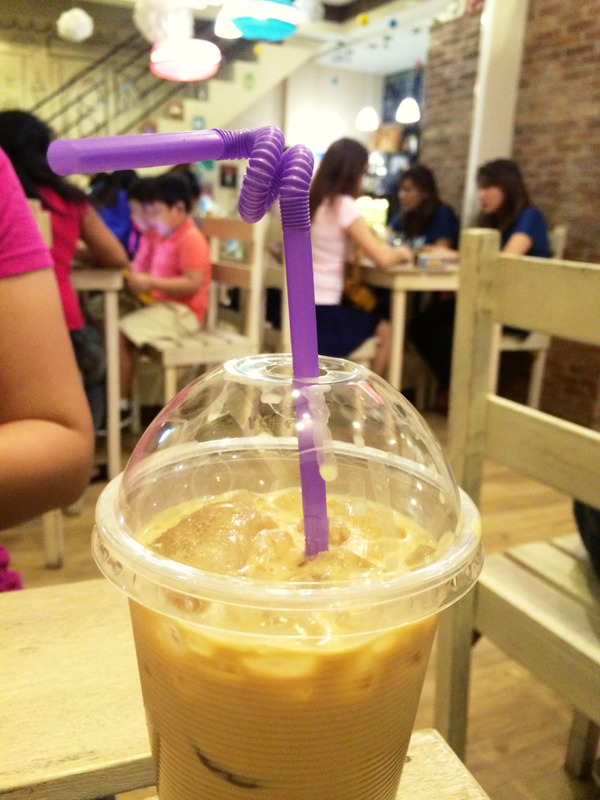 I didn’t like the Thai Iced Coffee much, I should have settled with the basics. I love hanging out with friends in coffee shops. 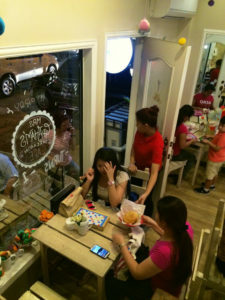 I love to hang out here kaso lang I didn’t like the plastic bulaklaks. 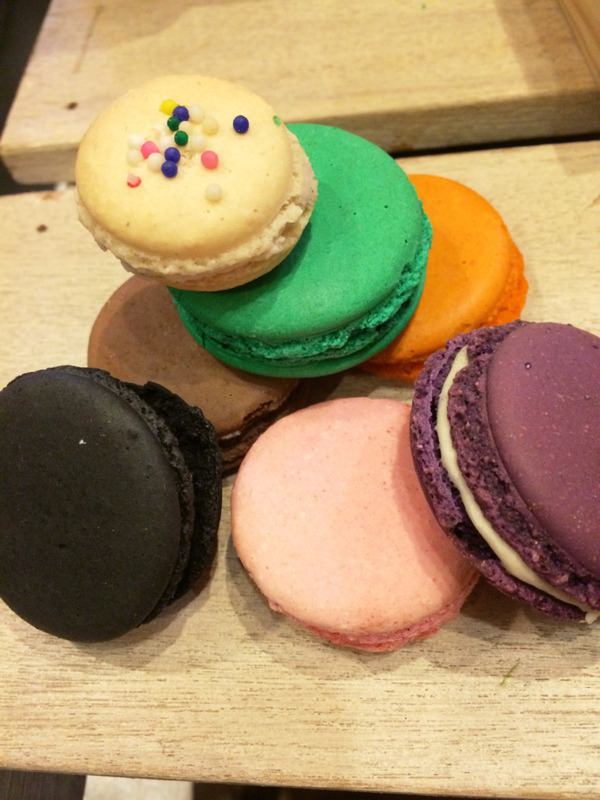 You had me at macarons. 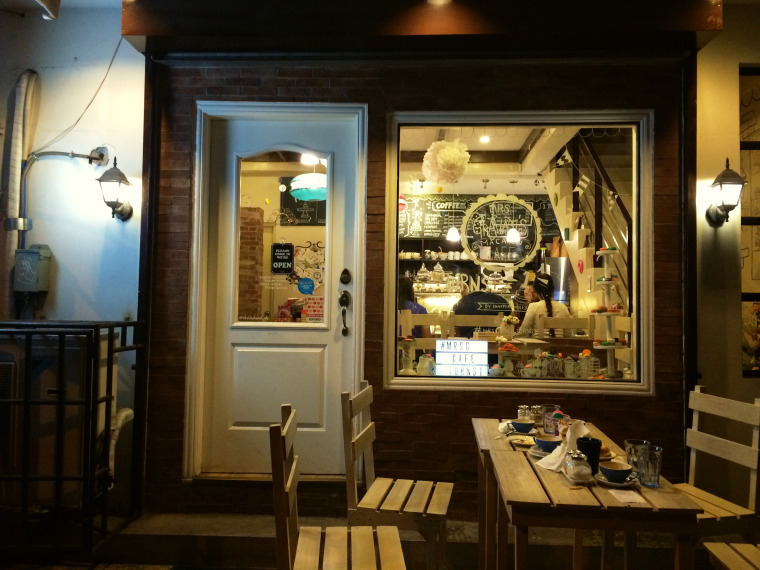 Despite being a coffee addict, I will go there for there for the peanut butter and jelly macaron alone.